Scoop the avocado flesh into a medium bowl and coarsely mash with a fork. Fold in the sour cream, basil, garlic, lemon juice, lime juice, jalapeno. Season with salt and pepper. 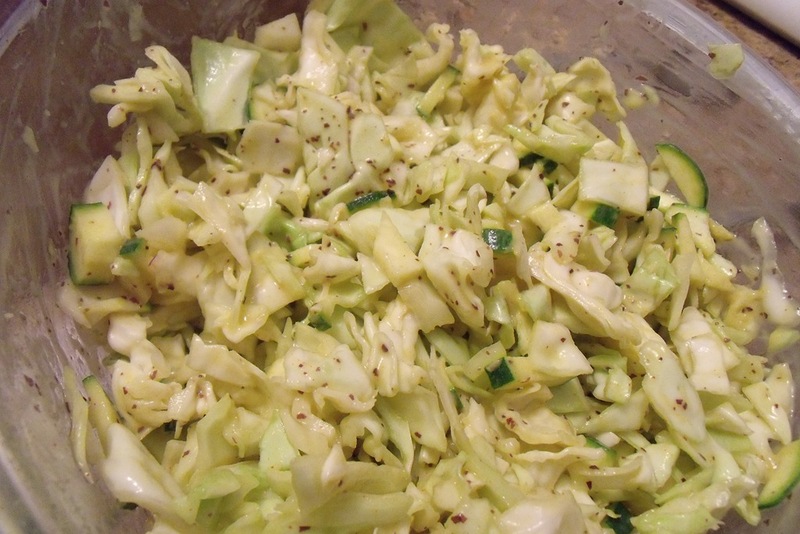 In a large bowl, toss together the cabbage, radishes, green onions, dill, parsley. Pour the avocado aioli over the salad, season with salt and pepper, toss well.